Thorn Park in the city is a delightful two story town house located just minutes from one of South Australia’s most popular lifestyle streets, “Hutt Street” in the south-eastern corner of the city of Adelaide. 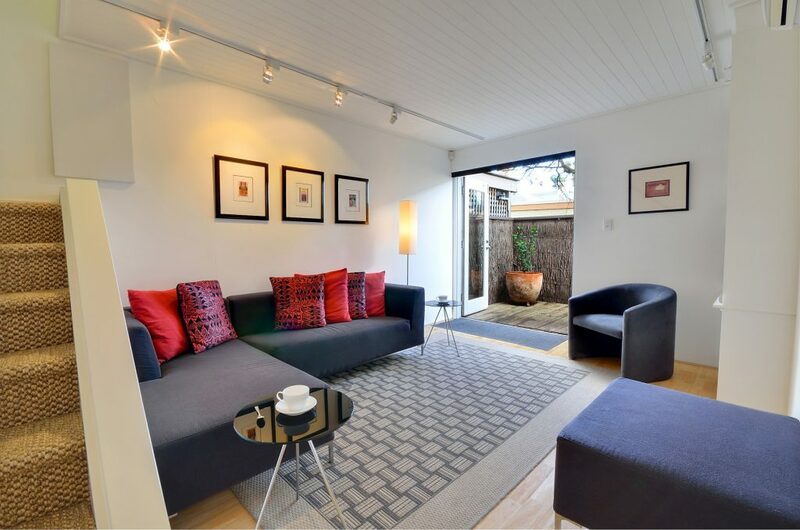 Recently fully renovated, Thorn Park in the city consists of a sitting room, dining room, kitchen and laundry down stairs, with French doors opening into secluded courtyards. The property is fully furnished with a mixture of contemporary furniture and antiques and pleasing art works adorn the walls. 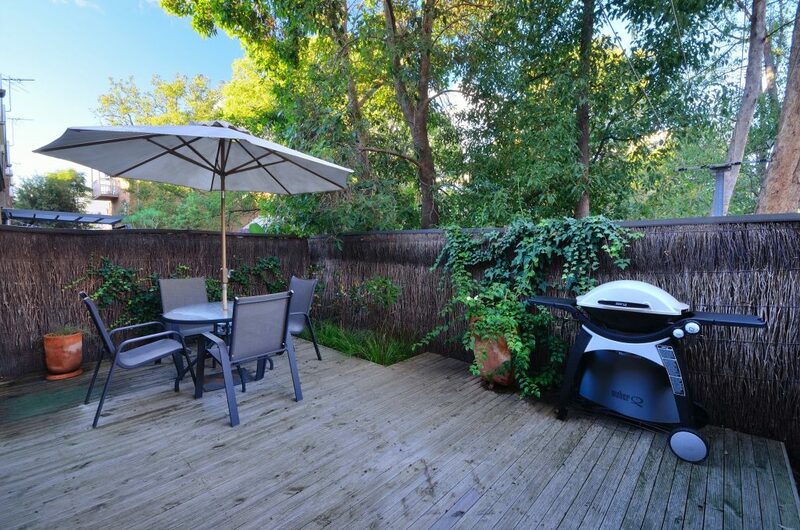 The rear courtyard has outdoor furniture and BBQ. There are several HD television sets, DVD player, sound system and a small library. 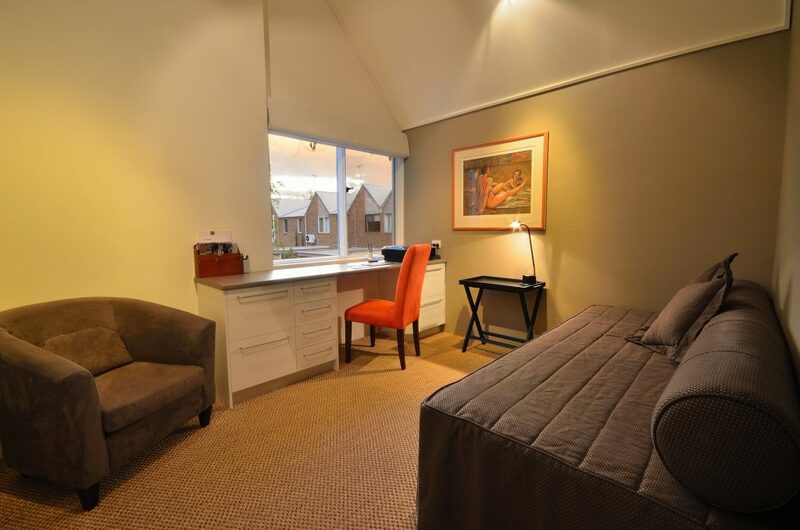 The town house has free Wi-Fi broadband internet throughout. The kitchen has European appliances and is fully equipped, with everything needed for entertaining including a Nespresso coffee machine and fully stocked pantry and larder for guests’ use. 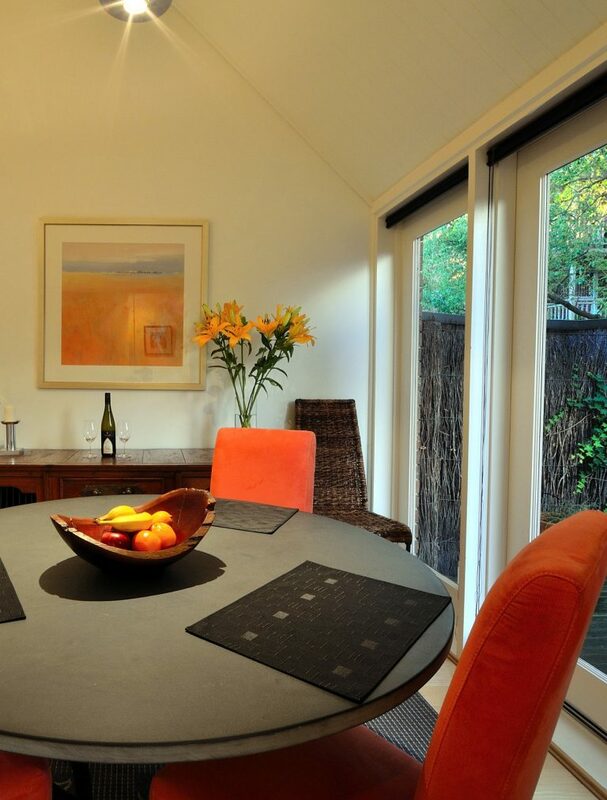 Breakfast provisions for the first few days are provided, along with a complimentary bottle of Clare Valley wine. The laundry has a front load washer/dryer. Secure off street parking for one car is provided at the property with a remote-controlled roller door. The security system is also remote-controlled. There is a phone available and interstate and international calls are billed to the client. Upstairs is the main bedroom with a queen-sized bed and a study with a desk. The study can double as guest bedroom for an additional person. 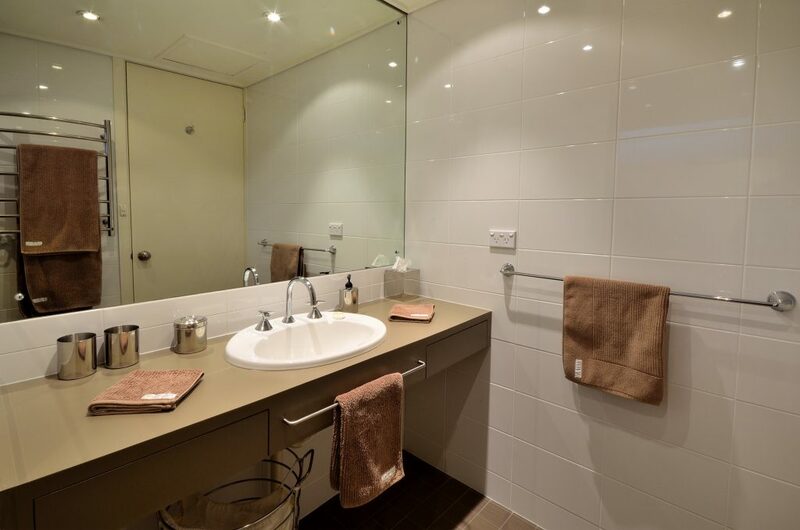 The modern bathroom has shower, vanity and separate toilet. All bed linen, bedding and towels are supplied. A weekly cleaning service is available for longer stays. Maximum of three persons staying at any one time. No parties and no smoking. A deposit to the value of 25% of the booking is required at time of booking. Final payment must be made four weeks prior to arrival date. Payment schedules for extended stays are arranged at time of booking. Payments may be made by cash, EFT, PayPal or by credit card. Unless the property is re-booked, deposits will not be refunded if a reservation is cancelled up to 30 days prior to the arrival date. Address, map and handy information about in the city’s location are supplied after the booking has been confirmed. Not a lot! The pantry is stocked with every herb and spice, oils and vinegars and a selection of pasta and cooking staples. A coffee machine is on hand for the most fastidious coffee aficionado. The fridge is stocked with breakfast provisions, wine and cheese. There are ample shopping facilities nearby on Hutt Street that also has many restaurants serving everything from breakfasts to late night suppers. The reputation of Thorn Park in the city has continuously grown by word of mouth. 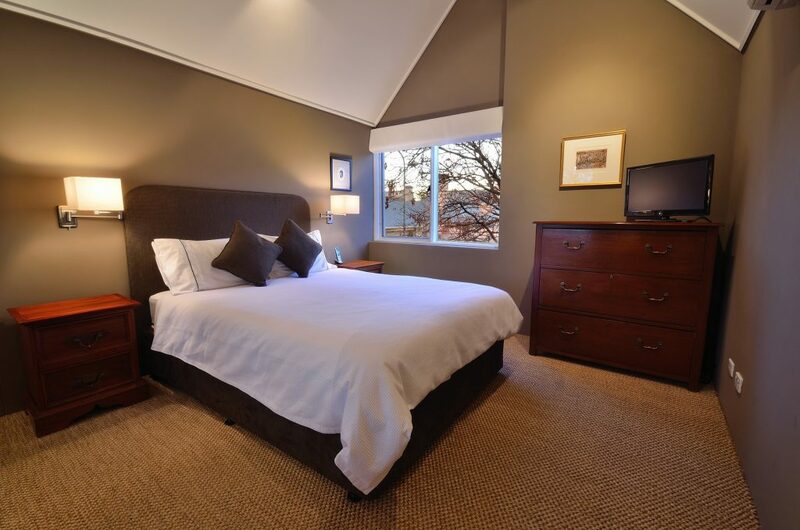 A quiet inner city hide-away is is just minutes from a bustling vibrant restaurant, bar and arts precinct. Our guests unanimously compliment us for its brilliant location and comfortable style. Owners David Hay and Michael Speers’ thirty years in the business of hospitality has not in any way dulled their professionalism. If anything, over the years, they have honed and perfected the experience over all of their properties.